If you missed out on Character Day, click here and see if any of your favorite characters were honored. It’s all about Aesthetics today here at the oprainfall Gaming Awards. Here we will honor those that have given us enjoyable stories, amazing gameplay, incredible design, and memorable music. In addition, we will also honor those that have expanded on their original product, creating even more amazing content. To start, we begin with Best Gameplay and our top Translator, Will Whitehurst. 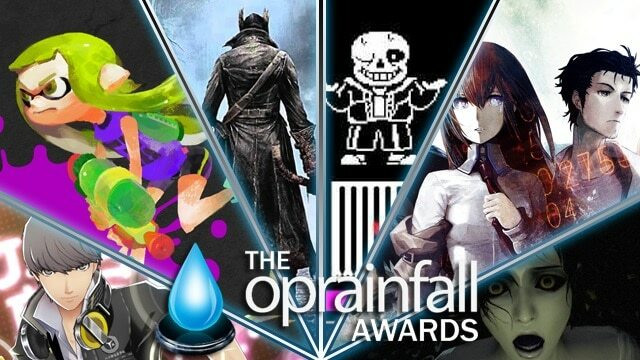 WILL: This year’s selection of Best Gameplay nominees is quite eclectic, to say the least. We have a Metroid throwback, a new addition to an incredibly hard series, a fun new shooter, a fond farewell to a cult strategy RPG developer, and, considering what website you’re on, I’m pretty sure you can guess the last one. Still, there’s something for everyone in this list. Without further ado, here are the nominees for Best Gameplay. This breathtaking indie Metroidvania from Thomas Happ is, in essence, the Super Metroid sequel that no one knew they wanted. But Happ did not merely pay homage to the genre with his passion project, which took five years to finally come to fruition. Axiom Verge reinvents Metroidvania with gigantic maps, a host of different weapons that can fit any play style, plenty of upgrades, unique ideas like the Drone Teleport and Address Disruptor (glitches can be useful! ), excellent boss fights, and a general lack of hand-holding. 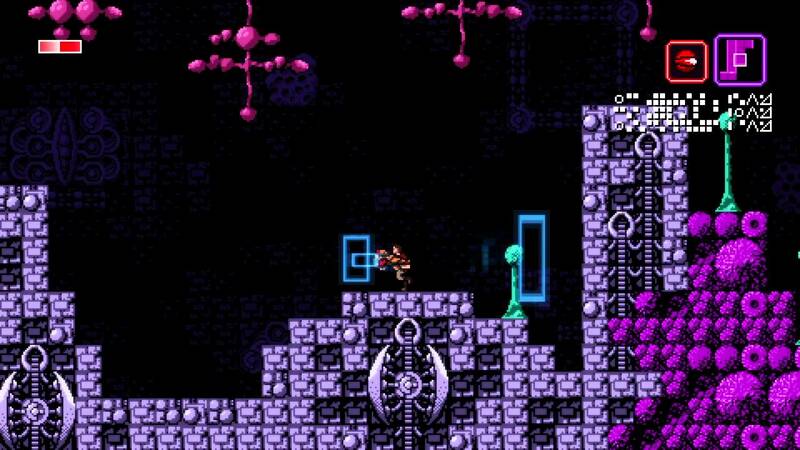 As 2014 oprainfall Award winner Shovel Knight did with Mega Man, Axiom Verge takes the Super Metroid formula, turns it on its head just a little bit, and creates a new and compelling gameplay experience. 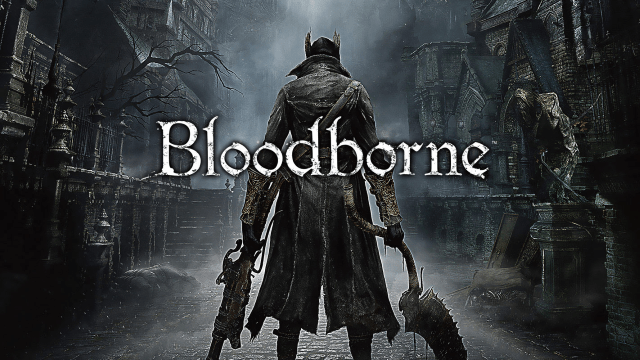 Sadistic developer From Software ups the ante with their PS4 debut, which puts players in the center of a plague epidemic in the city of Yharnam. Like its sister Souls series before it, Bloodborne‘s bread and butter is an incredibly challenging mix of action and RPG leveling and exploration. But while your average Souls game has coldly calculated and slow combat, the combat in Bloodborne can best be described as fast, furious, and smooth, and things still get as hectic as always. Yet, this is no ordinary Souls game — the guns, transforming weapons, and Regain mechanic, as well as some of the most polished controls and bloody fantastic enemies in From Software’s history puts Bloodborne in a class by itself. 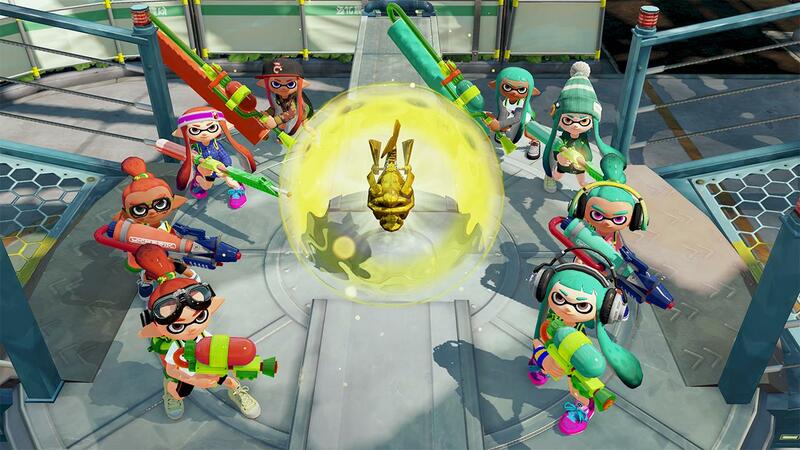 Nintendo’s hyped new IP changes the game, and the multiplayer is only half the fun. Using a neat control scheme that utilizes the GamePad’s gyroscope, which can also be turned off in lieu of a traditional dual analog setup, you can make your Inkling your own with dozens and dozens of weapons, clothes and accessories to choose from, and then duke it out with others in a flurry of Technicolor-soaked paint. Of course, your Inkling’s two forms change so seamlessly that the infamous launch commercial referencing this ended up becoming an Internet meme. The innovative hybrid of squad shooting and marking your team’s territory makes for pure online fun, that’s for sure, sans bratty kids shouting obscenities at you (in-game, obviously). Yet, the single-player campaign, which makes use of both ink-shooting action and Mario-like platforming, also sets Splatoon apart. The final game from cult developer Imageepoch is one hell of a swan song, pun somewhat intended. Stella Glow is a 3DS strategy RPG in the mold of Final Fantasy Tactics or Imageepoch’s Luminous Arc series, but throws in some neat tricks up its sleeve. The gameplay of Stella Glow is split into two parts. Mission Time is self-explanatory, but you can equip your characters with orbs that allow you to tweak stats and such, and the battles become fairly addictive. During Free Time, you can chat or go exploring with your party members, finding new items and increasing your characters’ affinity for each other in return. Coupled with top-notch production values, these make Stella Glow shine bright on the gameplay front. We’ll miss you, Imageepoch. Wow. Where do I begin? 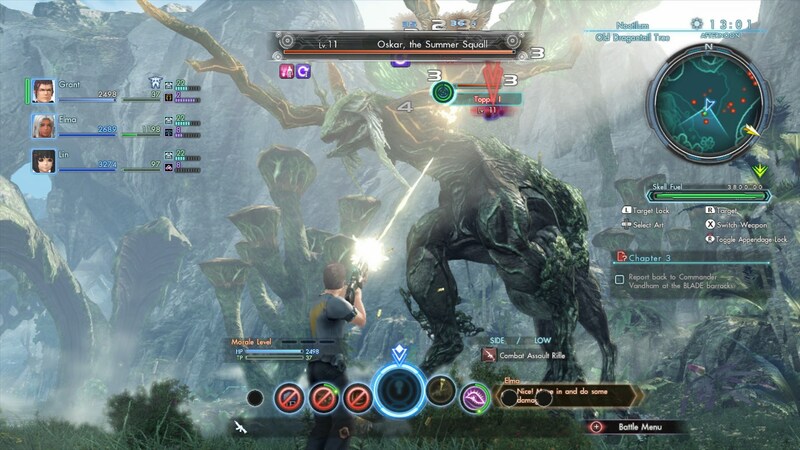 Exploring the massive world of Mira on your own is hard enough to do, but there is a genuine sense of intrigue that comes with Xenoblade Chronicles X, and the gameplay is no exception. The deep and satisfying combat in the first Xenoblade Chronicles has been retooled and revamped. The class and union systems add to an already dizzying amount of customization, including a UI that puts the GamePad to fantastic use. The sidequests are like miniature stories all their own. And, oh yeah, Skells make the journey easier — well, to a fault. Rarely does a game attempt so much with its mechanics yet feel so familiar, and Xenoblade Chronicles X delivers on this front for sure. Well, it looks like the shooter where anything can happen blasted away the competition. So, what have we learned? 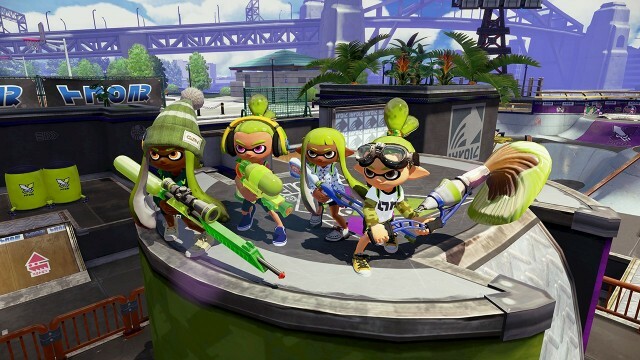 Kids can be squids, ink is your greatest weapon, and Nintendo can make even the most elusive genres their very own. 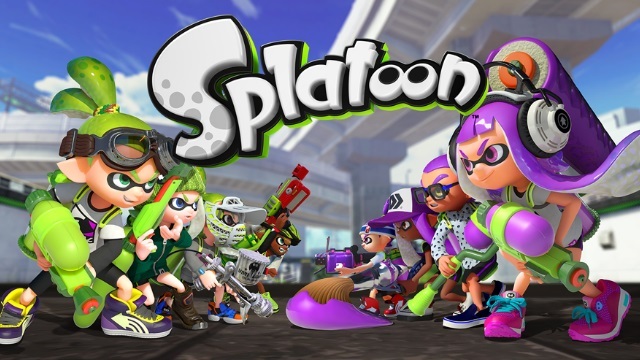 Online or offline, Splatoon’s gameplay rules, making it the deserving winner of oprainfall’s Best Gameplay Award for 2015. Stay fresh! Next, we have contributor Quentin with our favorite Mutliplayer experiences of last year. QUENTIN: Multiplayer games. At one time, they were a mainstay focus of the video game industry with classic titles such as Mario Kart 64, X-Men: The Arcade Game, Goldeneye, and Double Dragon. Nowadays, however, multiplayer is often a mediocre and hastily added in sideshow to the solo campaign. 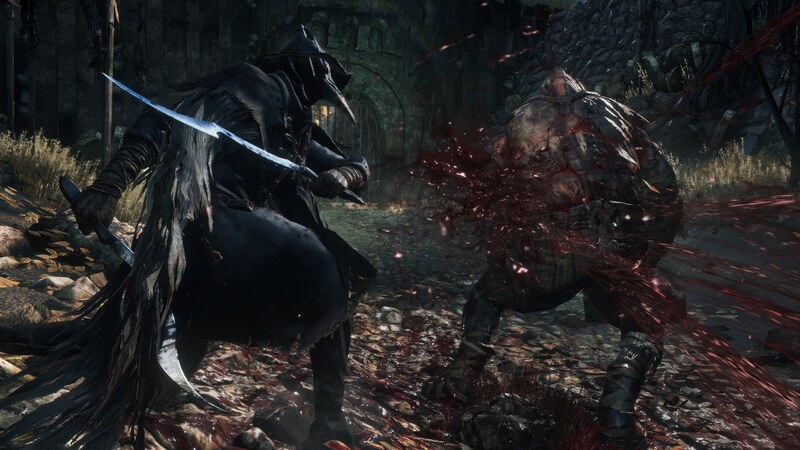 In Bloodborne, the definition of ‘multiplayer’ was turned upside down by its developer FromSoftware. 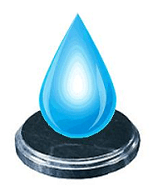 There are two types of multiplayer: Friendly co-op, where you can ring an item called a “Beckoning Bell” and a player who is looking to volunteer to help other players out will come join you…and PVP co-op where if you ring a “Sinister Resonant Bell”, you can actually be summoned by an enemy monster called a Sinister Bell-Ringing Woman to invade another player’s game unwittingly. And then once you are there, your objective is to hunt that player down and slaughter them. In addition to the two co-op options, you can leave messages and tips behind for other players to see and if you die…you can leave behind a ghost (called a ‘Spectre’) for other players to witness what befell you. The multiplayer in Bloodborne is different than what you would normally expect for a multiplayer game. 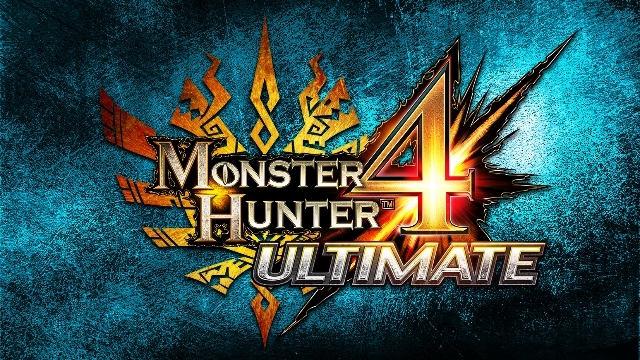 Monster Hunter 4 Ultimate is the latest entry into the long-running Monster Hunter franchise. Just as importantly, this game does a better job than ever before of introducing new players to the complex (and admittedly, sometimes daunting) combat system. We are, however, here to talk about the multiplayer aspect. The game plays just as smoothly online as it does offline or via local wireless. The only real difference in fact between the online and offline modes is that if you choose to hunt monsters online, they are scaled up to be stronger and have more HP. This makes sense, after all, because…there are more people fighting it! 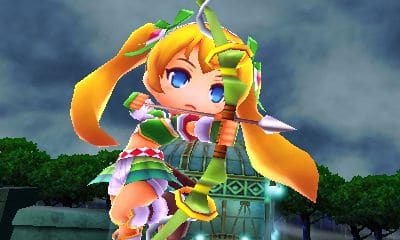 This is one of the best multiplayer experiences that you can have on the 3DS at the moment. If you haven’t picked it up, you are definitely missing out. 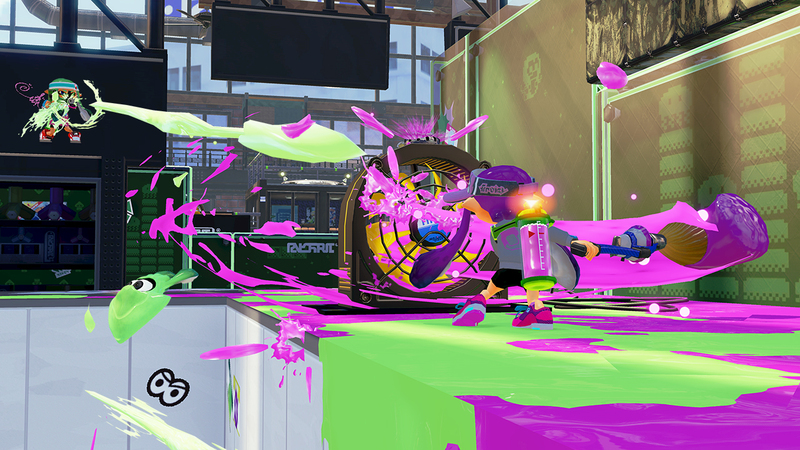 The objective in Splatoon‘s multiplayer matches is to cover as much of the arena in paint as possible. The team who has the most paint covering the arena when time is up wins. There are no impossible-to-get scorestreaks like in Call Of Duty: Black Ops 3, and killing other players (while admittedly fun) isn’t the point of the game. Its to shoot paint and cover as much ground as possible as quickly as possible. As a result, this significantly lets pretty much anyone of any gamer skill level to play and actually contribute to the overall win. The most important factor, and why I love this game so much personally, is that all matches are set on a three-minute timer. What this means is that if a game is decidedly lopsided against your team, you aren’t forced to either suffer another ten to fifteen minutes of being crushed by the opposing team or quit the match and incur a penalty for doing so. Just three minutes, and then you can jump into a completely different group of people almost instantly. If you haven’t tried it out, then you’re seriously missing out. Go find a friend that owns a copy of the game and bug them until they pop it in for you. You won’t regret it. Come on. Like there was any other game released this year that had a better multiplayer experience. If you have a Wii U (or heck, even if you don’t have a Wii U), you are seriously missing out if you do not have this game. As both myself and a bunch of Japanese developers in a poll published by 4Gamer said, this is easily one of the top games of 2015…and also happens to be 2015’s Best Multiplayer Experience of the Year! Coming up next, our favorite stories and designs. Next Post:PR: Love Live! School Idol Project Big Announcements!